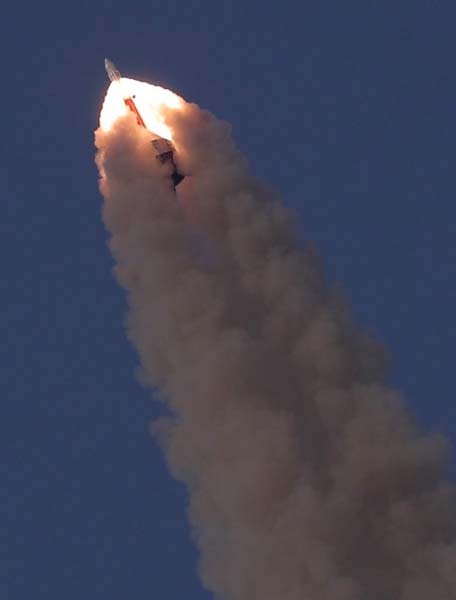 SRIHARIKOTA, India (ISRO PR) — ISRO carried out a major technology demonstration today (July 05, 2018), the first in a series of tests to qualify a Crew Escape System, which is a critical technology relevant for human spaceflight. The Crew Escape System is an emergency escape measure designed to quickly pull the crew module along with the astronauts to a safe distance from the launch vehicle in the event of a launch abort. The first test (Pad Abort Test) demonstrated the safe recovery of the crew module in case of any exigency at the launch pad. Great to see that ISRO is planning manned spaceflight. Though Kind of weird to think of India as being ahead of ESA. We are going to have to invite India to the ISS soon. 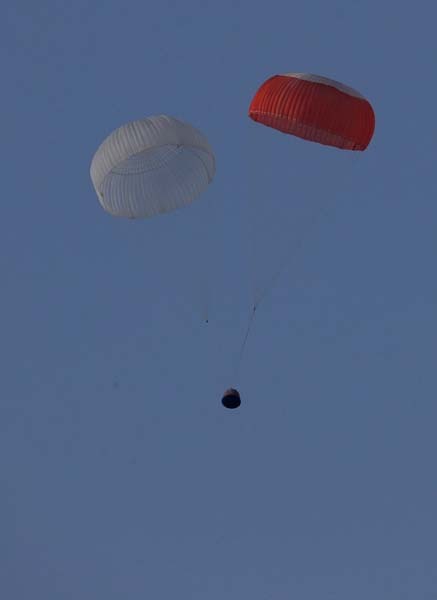 The video I saw of this on the Internet showed the parachutes disconnect when the capsule was still in the air. If there had been a crew in there when it hit the water, it would have been a “bad day”. I wouldn’t call this a “completely successful” test. Strange. I wonder if that was intentional. Cool. When is first docking at ISS? If it was intentional, I have no idea why. On an actual splashdown with people inside, you don’t release the chutes until *after* splashdown. @Kirk @Jeff2Space I, too, believe that this was intentional. A possible reason might be to simulate the capsule impacting the water at the speed at which it would return after de orbiting from space, though with potentially larger parachutes.